Overview: OrchidsMadeEasy.com offers an annual orchid care scholarship to a qualified undergraduate or graduate student pursuing a program in Botany, Horticulture, Environmental Science, Conservation, or related field, with a focus on orchids. 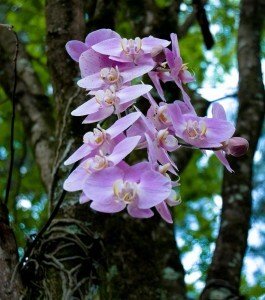 The purpose of the scholarship is to advance the study of orchids and orchid care. Topics can include, but not limited to: researching orchids in their native habitats, increasing biodiversity, or aiding in conservation efforts. Orchids Made Easy recognizes the importance of making orchid research accessible and preserving orchids for present and future generations. Provisions: Award of $500. Up to three (3) awards may be granted per academic year. Check will be made out to the college/university and/or academic department for release of funds. No scholarship funds will be released directly to students. To Apply: Download the application and instructions. Applications must be mailed to Orchids Made Easy and received by May 1st. Announcement: The scholarship recipient(s) will be notified and announced on http://www.OrchidsMadeEasy.com/orchid-care-scholarship in August each year. 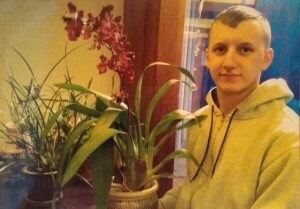 Jonathan tends to his orchid collection which includes Miltoniopsis, Paphiopedilum, Phalaenopsis, Oncidium, Brassia, and Maxillaria.